I’m gobsmacked. And highly amused, as well (it’s the immature part of me, apologies). Research published in Nature this week has shown something incredible – sperm may not be the mindless automatons bethought by many of us. Instead, researchers have found that the sperm of deer mice (which are notoriously slutty) are actually able to differentiate between their siblings (i.e. spermies from the same male) and the sperm from competing, and hence arch-rival males. And how do these family-focussed sperm then deal with the situation? Not with insults, no, nor the smashing of the headlights of each others’ cars. After identifying the sperm most genetically related to them, they then clump together, allowing them to swim faster towards the egg than less cooperative/clumped together sperm. Fascinatingly, it’s not a binary relationship – i.e. sperm from same male vs all other sperm. Sperm were more likely to, for example, aggregate with sperm from their male’s’sibling than with those from an unrelated male. 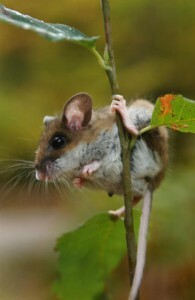 The behaviour has clear links to the promiscuity of the species – sperm in the Oldfield mouse (a related monogamous species) aggregated without any preference for relatedness. So why the difference? Well, one hypothesis posits that aggregation allows the sperm to swim faster, or navigate obstacles better (the mind boggles) – in largely monogamous species which sperm hang out with which clearly isn’t an issue. As one might expect, however, in species where the sperm of multiple males is vying for the same egg, it would be far better to give a hand up to sperm which are related to one, as opposed to helping out one’s opponents. 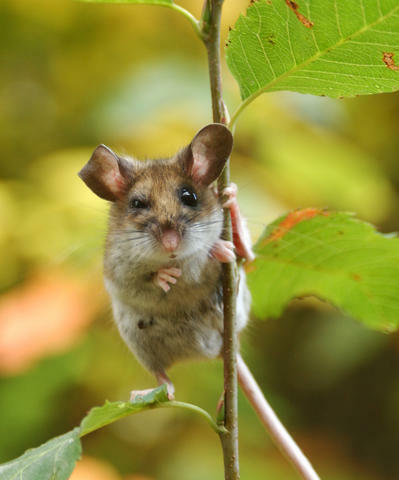 Another hypothesis is that the Peromyscus genus was originally promiscuous and that sperm aggregation arose before the two species (deer and Oldfield mouse) diverged, but the ability to discriminate only developed afterwards. And it would seem to be a clear function of adaptation through sperm competition. The mechanism which allows this clumping is simple – whereas human sperm have rounded heads, these sperm actually have hook-shaped heads. Of course, the scientists are completely mystified as to how the sperm are able to make both the differentiation and follow-up action, but no doubt they are eagerly striving to understand these things (I know I would be). The closest they’ve got thus far is to suggest that it may be a simple genetic mechanism of some kind (as in the case of similarly selective cooperations seen in some social amoeba). I’d have a go and writing this paper up. I see you’ve beaten me to the punch. As far as the images are concerned, as long as it’s properly attributed taking a single image from a paper for the purpose of reporting/reviewing that paper falls under Fair Dealing and shouldn’t be a problem. But the mice are a good deal cuter than fluro sperm anyway! Is it only among mice that sperm aggregation happens, or has this been observed in other species, too?